The HRIC project consisted of the development and construction of two interrelated buildings, the HRIC Lab and the HRIC Teaching, Research and Wellness Building (TRW). These two new facilities were developed on a base building concept consisting of approximately 660,000 square feet to accommodate new research laboratories clinical facilities to promote the concepts of “bench-to-bedside” translational research. 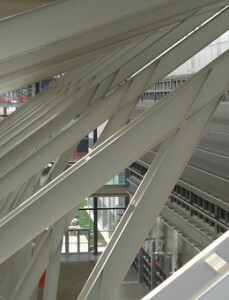 Both structures are physically and functionally connect to the existing Health Sciences Centre and Heritage Medical Research Building at the Faculty of Medicine. The Base Building was completed in February 2006. Subsequent phases of the project included for the development of tenant fit-outs to accommodate many new and expanded Research Institutes and Centre’s to support the Faculties research and teaching goals. The total development was program-managed over the past eleven years and consisted of approximately 42 distinct projects and cost of the fit-outs is approximately $210,000,000. The vast majority of the projects are now complete and the balance of the program is slated for completion in December 2012.